A great meal, especially with friends, can energize your day. That’s why we make sure your dining experience will always be healthy and flavorful. We have three delicious dining venues, plus options for takeout. Menus are created with help from a Resident Advisory Committee. They change often, with approval of the Committee. So you’ll always find some old favorites and an enticing selection of more adventurous fare to try. Of course, nutrition is always on the menu. Our Certified Dietary Manager and our Executive Chef work in partnership to make meals at St. Catherine’s Village as healthy as they are delicious, even for those with special dietary needs. There are choices for diabetics, low-sodium and gluten-free options, and more. It will soon become your favorite, home-time diner. Modeled on the modern fast-casual dining trend, our comfortable, made-to-order grill serves all your favorites, including all-day breakfast. It’s perfect for people on the go, or for those let’s-catch-up meals with friends. By reservation only, it’s our elegant private dining option. It’s perfect for special occasions with that someone special or a truly memorable meal with family or friends. 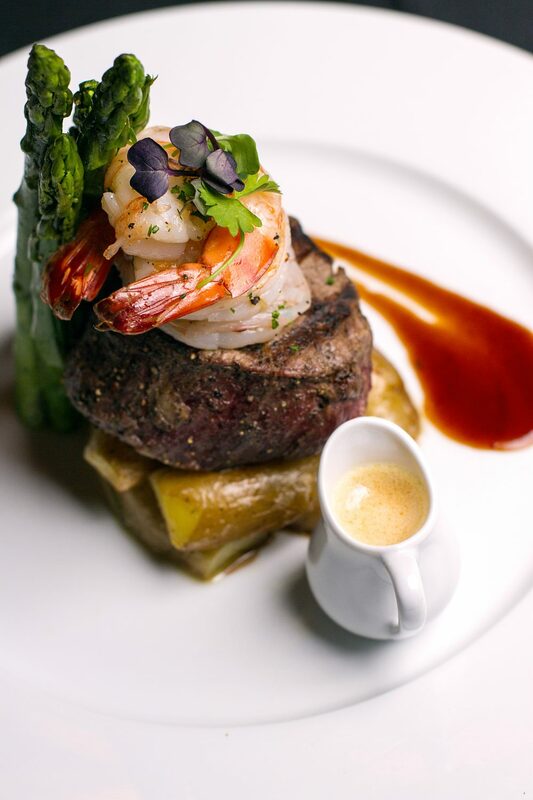 Exquisite food, prepared just the way you want it, and tend-to-your-every-wish service to match. We prepare special meals, desserts and other treats for all the major holidays and many special events. A fine-dining experience in a gracious and relaxed setting. Each day the chef prepares special dishes for residents to savor and linger over. It’s the perfect place to enjoy an exceptional meal and take your time enjoying every bite. At least once a month, St. Catherine’s Village organizes trips to the best dining options in our area…tasty and fun! AND JOIN US ANY TIME TO TRY OUR GREAT FOOD IN PERSON!